Here a couple of pictures Anthony took of 2 trips last week . Looks like the nicer fish are beginning to bite and I will be back out on the water this week. It has been nice to take some time off from the fishing but I am anxious to get back out. 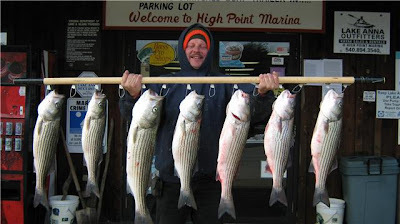 The extremely cold weather will be good for fishing this year, it will kill off a lot of the bait giving anglers a better chance to catch Stripers. 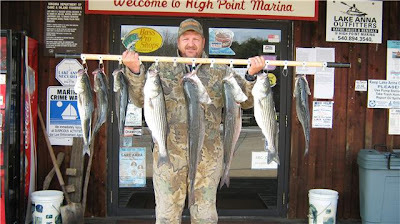 The bait kill coupled with the large Striper stockings of a few years ago will certainly prove to make Striper Fishing on Lake Anna better than ever.